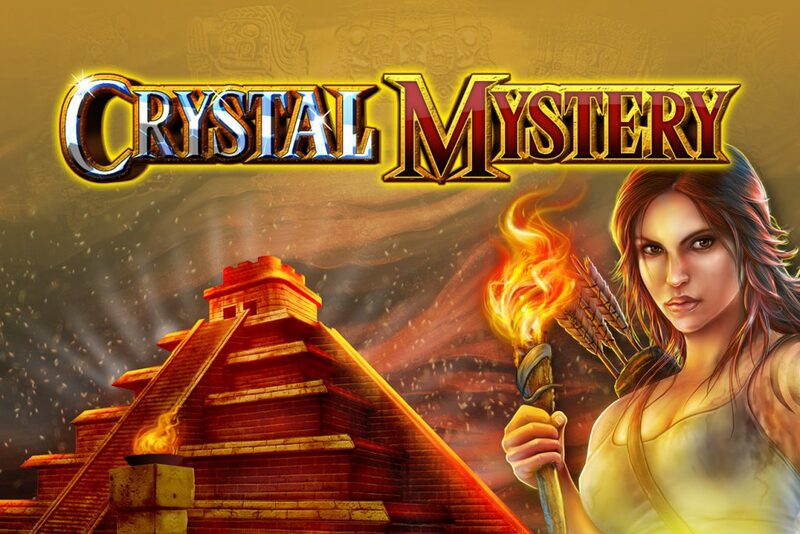 Join the beautiful explorer in the mystery adventure chasing the crystal skulls. 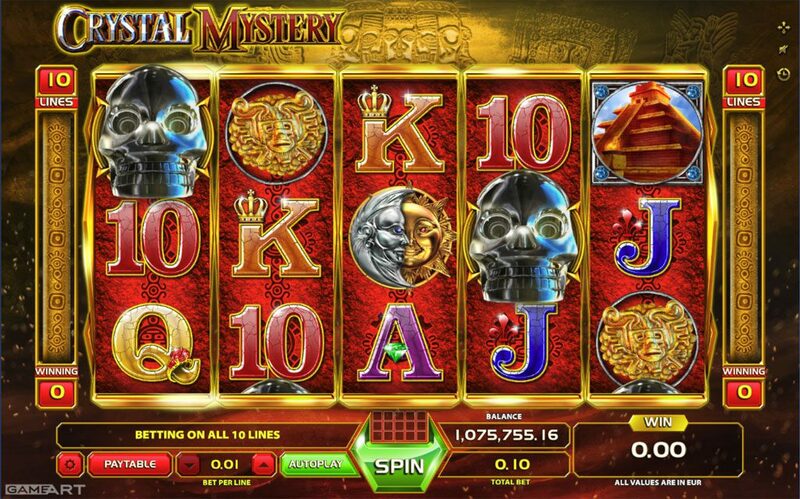 CRYSTAL MYSTERY is a 10 pay line slot game ready to provide you with big wins. 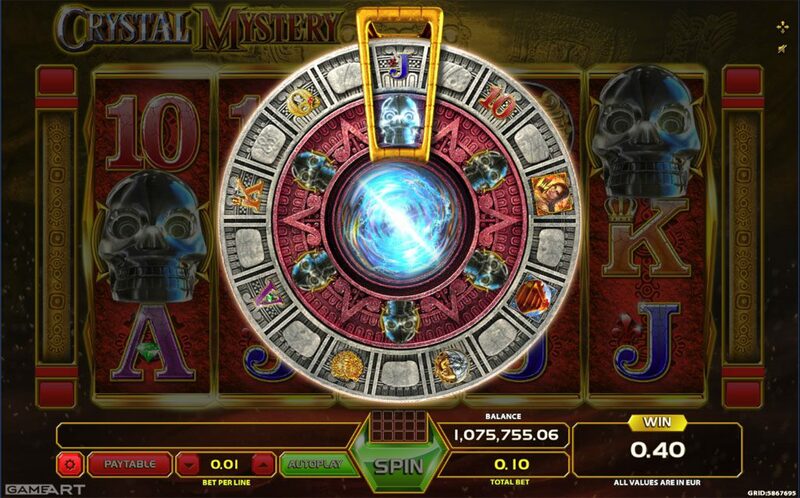 3, 4 or 5 scattered CRYSTAL SKULL symbols trigger the bonus feature awarding 10 free spins where in the bonus screen, the time-gate determines your mystery symbol. 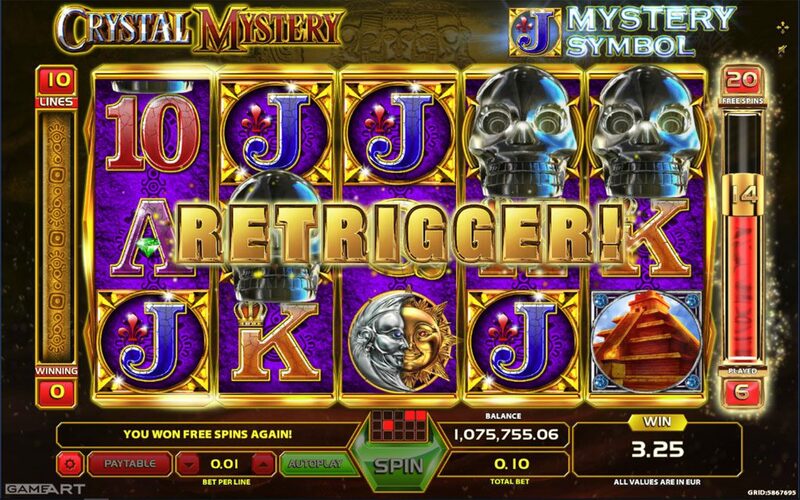 During the free spins if the mystery symbol lands anywhere on the reels in a winning combination it expands and turns the entire reel into the selected symbol. Bonus feature can be retriggered during the free spins.